After the completion of the BWF World Junior Mixed Team Championships last week, the individual competition begins at the World Junior Championships in Markham, Canada on November 12. 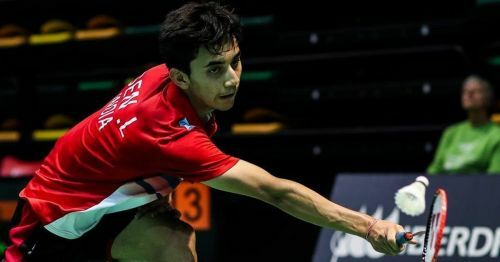 17-year-old Lakshya Sen will be India’s biggest hope at this premier junior event, where he will hope to lay his hands on the elusive crown after winning the Asian Junior Championships earlier in the year. Sen has been seeded fourth in the 128-player field, and that has given him a first-round bye. The first seed that Lakshya can face is the ninth seed Chen Shiau Cheng in the fourth round. His quarter-final opponent could be seventh-seeded Chinese Yupeng Bai or 14th seed Brian Yang. The semi-finals should see him going up against the top seed Kunlavut Viditsarn, whom he got the better of in the Asian Junior Championships final. If Sen manages to repeat the result of the Asian Juniors, he can very well make it through to the final of the World Juniors for the first time in his career. It could get tougher for Sen in the final for he has a chance to face the second seed Ikhsan Leonardo Imanuel Rumbay or third seed Li Shifeng or Japan’s Kodai Naraoka. Sen was stopped by the Japanese in the quarter-finals last year but he managed to avenge that defeat in the semi-finals of the Youth Olympics this year. He also prevailed over Rumbay in the quarter-finals in Buenos Aires but it is Li Shifeng who dashed his gold medal hopes at the Youth Olympics. While Sen effortlessly beat the Chinese at the World Junior Championships last year, he was subjected to a straight-game defeat in the Argentine capital. If Sen does not feel fatigued after his two-week-long duty, he very much has a chance to grab the glittering gold medal. The former junior World No. 1 has never been past the last-eight stage, so it would require quite an effort from him to last all seven rounds. Priyanshu Rajawat, Alap Mishra, and Kiran George are the other Indians in the men’s singles draw. India will be represented by the eighth-seeded Purva Barve, Gayatri Gopichand Pullela, and Malvika Bansod in the women’s singles section. Pullela Gopichand’s daughter can face the second seed Phittayaporn Chaiwan as early as the third round. Barve will take on Thailand’s World No. 56 Pornpicha Choeikeewong while Bansod has Hong Kong’s lower-ranked Saloni Samirbhai Mehta in the first round. In men’s doubles, the fifth seeds Krishna Prasad Garaga and Dhruv Kapila begin their campaign against Canada’s Andrew Choi and Victor Lu after receiving a first-round bye. Vishnu Vardhan Goud Panjala and Srikrishna Sai Kumar Podile are seeded 12th and their opening round opponents are Spain’s Marc Cardona and Miguel San Luis. Manjit Singh Khwairakpam and Dingku Singh Konthoujam form the third Indian pair in men’s doubles. India has three teams in women’s doubles -- Aditi Bhatt-Tanisha Crasto, Ashwini Bhat-Srishti Jupudi, and Sahithi Bandi-Thanushree Ramesh. Bandi will also be in action in mixed doubles where she has teamed up with Navaneeth Bokka. Saipratheek Krishnaprasad and Ashwini Bhat form another pair while Podile and Jupudi will be seen alongside each other. The fourth Indian pair in this category is that of Akshan Shetty and Rashi Lambe.